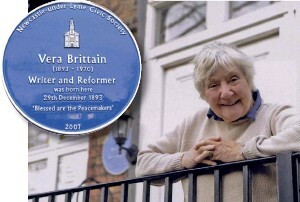 Some years ago Shirley Williams had arranged to give a lecture for the Movement for the Abolition of War, and I was aware that her mother was Vera Brittain, author of Testament of Youth and other books, and a strong anti-war campaigner. I read Testament of Youth and it inspired this song Vera, which I later sang at the lecture in the Imperial War Museum. Vera volunteered as a nurse during World War One, saw many of its horrors for herself, and experienced the deaths of her fiance, her brother and two of her best friends. Thereafter she campaigned against war consistently, even when it was unpopular. In her later years she was a counsellor for the Anglican Pacifist Fellowship. It seems a good idea to use the song again this year, as it marks the centenary of the Armistice, and is also a year in which women are insisting on having their voices heard and taken seriously. 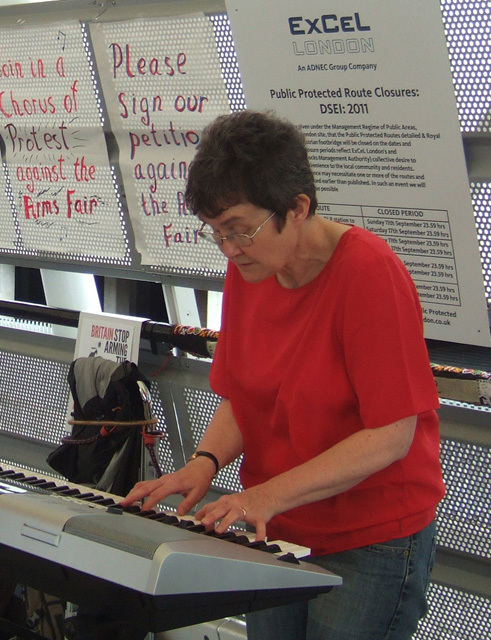 The score of the choral arrangement is available on the website www.abolishwar.org.uk and I hope it will be used by choirs wishing to commemorate the centenary of 1918. Sue Gilmurray spent most of her working life as a university librarian, and is now retired and living in Exeter. 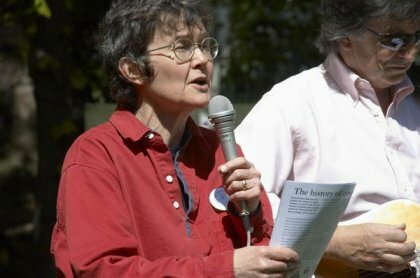 She has been a keen singer and writer of songs and hymns since schooldays, and for the last 20 years much of her work has been concerned with issues of war and peace. Disclaimer: This blog is intended to provide a space for people associated with APF to express their own personal views and opinions in order to promote discussion of issues relating to peacemaking and pacifism It is not necessarily a place where the official views of APF are expressed.